My wife and I along with most of our present staff, created The Fish Pot 17 years ago in a part of Barbados which was pretty much forgotten. 17 years later, we are all proud to say that our little ocean front restaurant, which is housed in a 17th century fort ( Fort Rupert ) is considered by many to be one of the leading restaurants in Barbados. Simply put, we personally like fresh simply prepared food in a casual yet stylish ambiance. The Fish Pot we believe has ticked all our boxes. We welcome you to visit us and sample for yourselves our little place. This small, low-key, relaxed and out of the way property lies on Barbados' sleepy north-west coast. 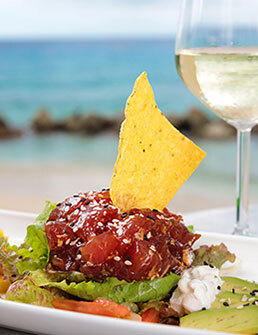 It offers spacious, cottage-like suites equipped with full kitchens, and dining in The Fish Pot, a casual-chic beachfront restaurant that is one of the most appealing places to eat on the island. Thank you so much for a wonderful stay at Little Good Harbour. We simply enjoyed everything about our holiday from the moment you greeted us with a welcoming Rum Punch to the last delicicious lunch on the beach in the Fish Pot. You have built a wonderful business with care and attention to detail from the unfailing courtesy and ‘can do’ attitude of your staff to the beautiful local art and furnishings in the villas and gardens. Having never visited Barbados before we were so happy that we experienced you and the north of the island first. We will be back and we will have no hesitation about recommending you to everyone we know! The Best restaurant on the Island! 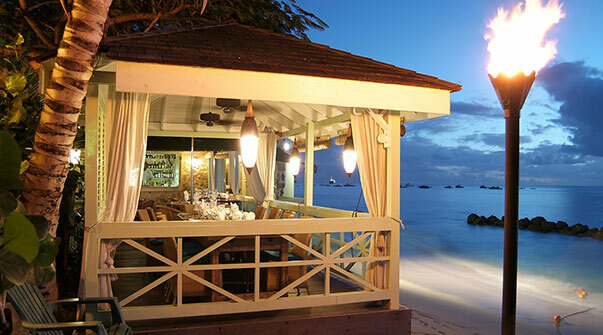 We visit Barbados every year and visit the Fishpot at least 6 times for dinner - it is a MUST! The food is really fabulous, the location is unbeatable and the staff are incredibly nice. The perfect spot for a relaxing evening - you will love it!! My husband, adult daughter and I had an absolutely wonderful dining experience here last evening. The food and service were excellent. It was lovely to have dinner with the sound of ocean waves in the background. We were in an alcove right on the beach! The dessert, cocoanut crumble, and also lemon pie were I think the best I've had anywhere. A very pleasant, casual atmosphere with top drawer food and service. Register with The Fish Pot to receive details on our specials, events and other news.